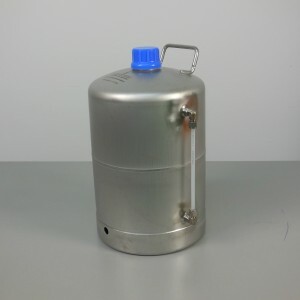 The Large Activator/Activator Base Bottle Kit allows for the use of larger bottles (greater than 250 mL) for the activator and activator base positions on the Liberty Blue. The 3/16" Blue Ferrule is used to secure 3/16" OD tubing on the Liberty Blue. The 1/8" Yellow Ferrule is used to secure 1/8" OD tubing. 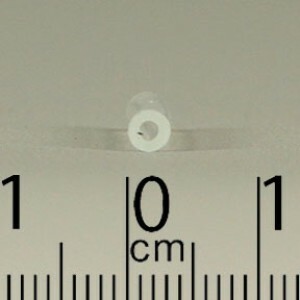 The 1/8" PEEK Fitting is used to secure 1/8" OD tubing. 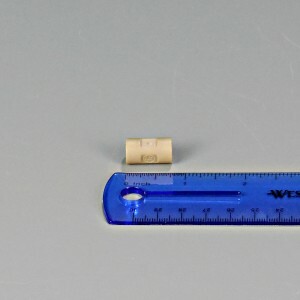 The 1/8" Plug Fitting is used to plug threated 1/8" ports on the Liberty Blue. The Blue Fritted Ferrule is used internally on the Liberty Blue to reduce nitrogen flow for bubbling. 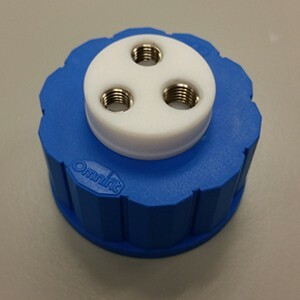 The Amino Acid Manifold O-ring is an EPDM o-ring used to seal the amino acid bottles to the manifold. The Activator/Activator Base Bottle O-ring is an EPDM o-ring used to seal the activator and activator base bottles to the reagent manifold. 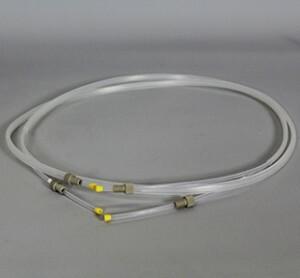 The HT Transfer Solvent Bottle Tubing Bundle is used to connect the transfer solvent bottle to the HT-12 module. 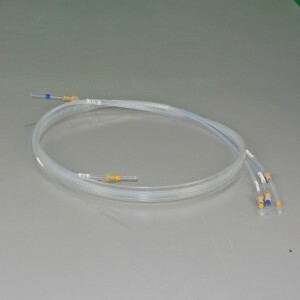 The HT12 to Liberty Blue Tubing Bundle is used to connect the HT12 module to the Liberty Blue. 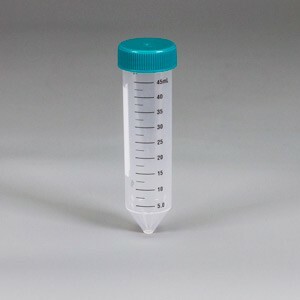 The amino acid dip tube allows the system to draw up amino acid solution. 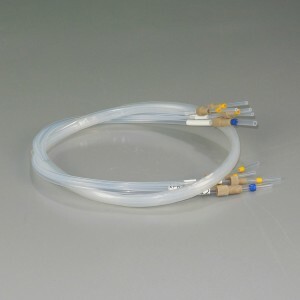 The ACT/ACT-B dip tube allows the system to draw up liquid from the ACT or ACT-B bottles. 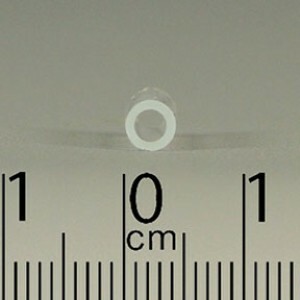 The 1/8" to 1/8" PEEK Union allows the connect of two pieces of 1/8" OD tubing. The 3/16" PEEK Ferrule is used to secure 3/16" OD tubing on the Liberty Blue. The 120 mL Amino Acid Bottle is a larger reservoir for use on the reagent manifolds. This package of thirty (30) 120 mL Amino Acid Bottles includes larger reservoirs for use on the reagent manifolds in either the 20 standard amino acid positions or the 7 extra positions. The 250 mL Clear Glass Bottle is the standard deprotection container and is used for light-stable activator and activator bases. The 250 mL Amber Glass Bottle is used for light-sensitive activators and activator bases. 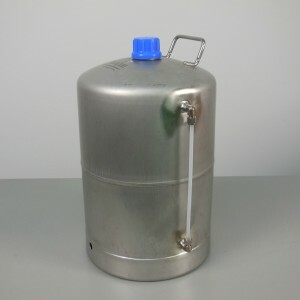 The 20 L Stainless Steel Bottle with Sight Tube is a stainless steel bottle for holding main solvent or deprotection solution. The GL45 2-Way Pass-through Bottle Cap is used to connect glass bottles to the Liberty Blue or Discover Bio. The GL45 3-Way Pass-through Bottle Cap is used to connect the HT-12 transfer solvent bottle to the HT-12 module. The Bottle Tubing Bundle for Pass-Through Bottle Caps consists of two tubes use to connect a glass bottle to the Liberty Blue or the Discover Bio wash station. The 1/8" to 3/16" PEEK Union allows the connection of a piece of 1/8" OD tubing to a piece of 3/16" OD tubing.